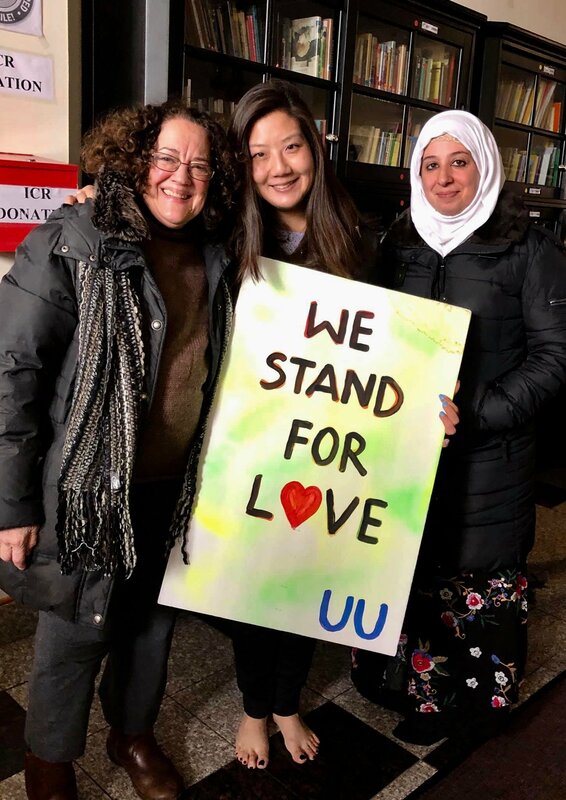 Staff and volunteers from Refugees Helping Refugees joined the greater Rochester community in gathering outside of the Islamic Center of Rochester on Sunday afternoon to show their love and support for the Muslim community. 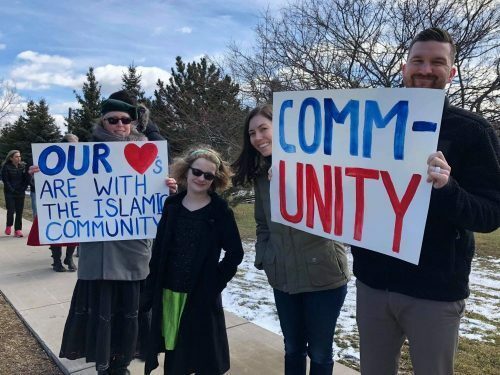 The event was organized by the Levine Center to End Hate and the Jewish Federation of Greater Rochester in the wake of the New Zealand terrorist attacks that took place at two mosques on March 15, killing 50 people, and injuring 50 more. Refugees Helping Refugees Case Manager Pamela Adams shares some of her thoughts and observations of the gathering below. “The afternoon was a beautiful and poignant coming together. 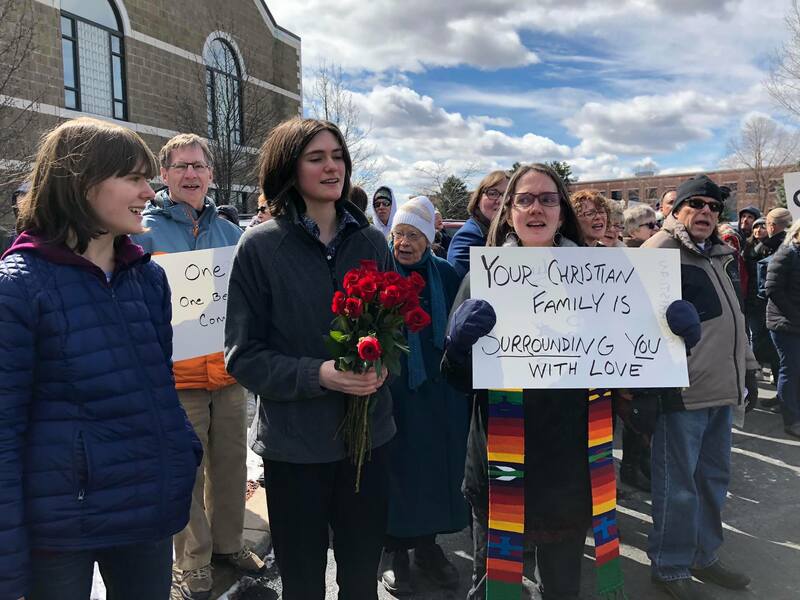 People from all different areas of Rochester – of all ages, genders, faiths, races and ethnicities – standing, kneeling, holding hands in solidarity with one another. As I sat quietly in the crowded room for prayer (a room just like the one in which the New Zealand victims were praying during the time of the attack) watching the women pray on their knees in front of me I was overwhelmed. Some were crying. Children were meandering through the narrow spaces between bodies. We sat together in silence literally watching one another’s backs. Before and after the prayer, I locked eyes with several women…some said thank you, some didn’t speak…either way, we were connected in sorrow and in love.